Designed for use in laboratory, industrial or education applications, the Ohaus Scout Pro continues the tradition set by the Ohaus Scout and Scout II products. 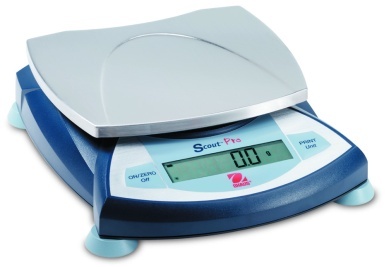 Featuring easy-to-use two-button operation, a high-contrast LCD display, multiple weighing units, four application modes, and the option of either RS232 or USB connectivity, the Scout Pro is the portable balance for your needs. Easy to Clean - Removable stainless steel weighing platform, sealed front panel and moulded spill ring. Models in this range include the SPU202, SPU402, SPU401, SPU601, SPU2001, SPU4001 and SPU6000.